Our schools are back in session next week and I’m feeling the pinch to get my house organized. Having the kids home all summer with the babysitter, while my husband and I are off to work, means our normal cleaning routine fell apart 2 days into summer vacation. I’m already envisioning how I’ll spend my 30 minutes of “alone” time before my kids get off the bus… and it’s pretty much filled with running around like crazy, cleaning and starting dinner so we can be off to sports practices and church group on time. It looks like it’s time to step up the expectations of the “littles” in this house. 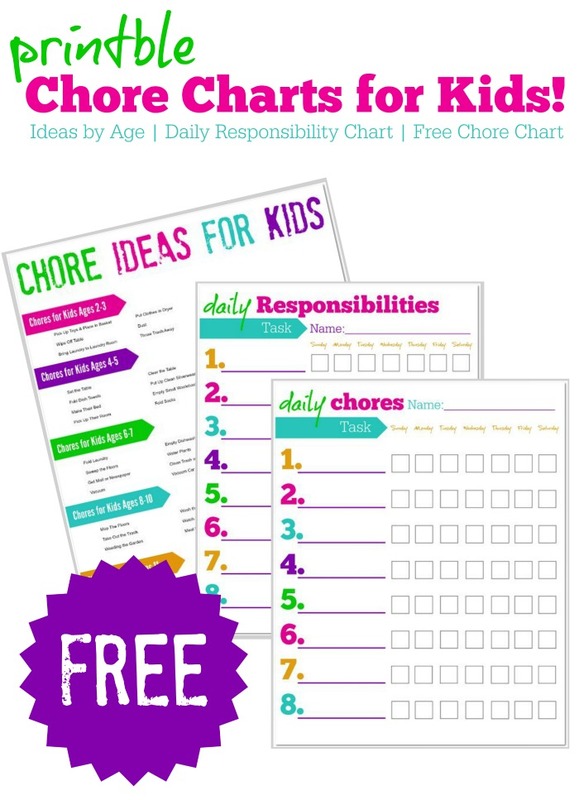 I thought I’d print up a chore chart, but then I found this excellent FREE resource online and thought I’d save my time. I’m sharing the link here in case you’re in the same boat I am. The link lists some job ideas for different age groups. My plan for my nearly 11 year old is : maker her bed, carry dirty clothes to the hamper, pull out her outfit for the next day, help with meal prep. These few things can go a long way to getting more organized for the upcoming school year!